A few days ago I placed a little book order. I was missing some gold old offline reading and the little pile on my bedside table didn’t really spark any interest. 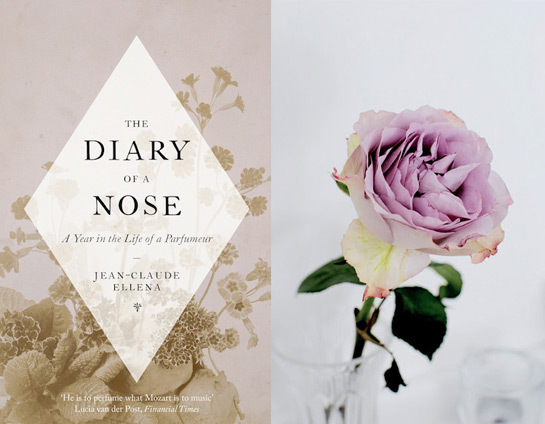 So I did a little bit of research and came across this little gem: The Diary Of A Nose by Jean-Claude Ellena. A behind the scenes peek into the creative process of creating a fragrance in which the “parfumeur exclusif” of the house of Hermès chronicles his travels and experiments. I am currently reading To Kill a Mockingbird since I’ve never read it. I hope you enjoy your newest addition to your reading list! Thank you, Kate. How is the book so far? Ah..Thrillers!!! Karen Slaughter (one of my favorites) Nicci French, James Patterson. Laying in bed, the wind is howling, the rain sweeping against the window, Yes!! Sounds great! Do you have any special recommendations, Audrey? Hey Marzena .. That’s a very very beautiful name . I just dropped by to say Hi and I found this page . Books . One of my favorite words in the whole world . They complete my world . About „To Kill A Mockingbird “ if you haven’t read it yet , please do read it . You don’t wanna miss this book . Harper Lee is the author and she is a great voice . No matter how many books I read in my entire life , this book will always always stay close to my heart. I have a couple of blogs, but not one for books . I think I have to come up with a good bog title ,something that I would completely dedicate it for books . if want to know some good reads , I would be soo happy to help you . I’ve been checking out your blog for the last 6-7 nights . It completes my day . Beautiful words and beautiful pictures you’ve got , burning with so much passion . Loads of love Marzena :) :) Man, I am never gonna forget that name .